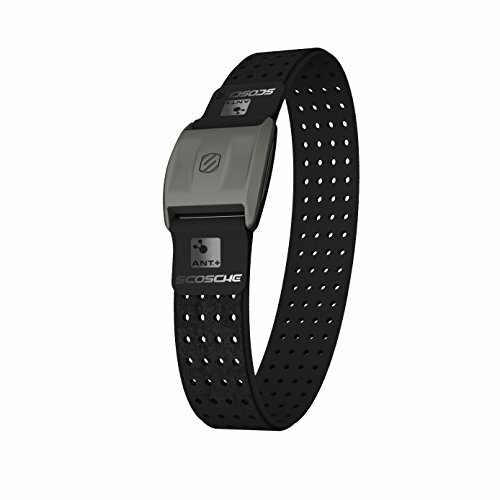 RHYTHM and Heart Rate Monitor train smart, get fit the Scosche RHYTHM plus heart rate monitor is an all new workout tool for managing heart rate, calories burned, distance, step rate, pace, music and more. Accurately monitor your intensity level. Precision biometrics. RHYTHM plus heart rate monitor is a direct chest strap replacement and easily attaches to your forearm for full wireless communication with your device. This app powered heart rate monitor uses an app to manage your workout metrics. Use your favorite fitness app on your smartphone or tablet to monitor your heart rate, calories burned, distance, speed, pace and more. RHYTHM plus optically measures blood flow and body movement to ensure the most accurate data possible. With its dual-mode processor you can simultaneously transmit your heart rate to multiple ANT plus displays and your favorite Bluetooth Smart enabled watch or smartphone app. Specs: IP67 Waterproof construction can be submerged up to 1 meter Breathable lightweight armband – n.